Writing 'The Sunrise': "I felt as if I was putting my fingers in a power socket"
40 years ago, the Cypriot town of Famagusta was occupied by Turkish forces. 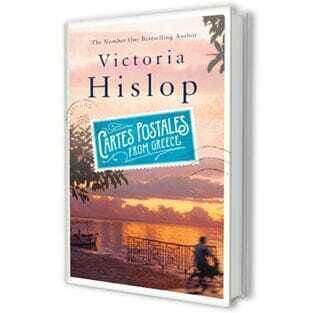 Today it’s capturing media attention once again, as the subject of Victoria Hislop’s new novel, “The Sunrise,” which will be released in Greece on October 22. Hislop’s literary inspiration came from the town’s empty buildings. “The Sunrise” marks the first time she has written about a city that she could not even explore, she told “Fileleftheros.” “I traveled to Cyprus many times, I visited Famagusta, stood near the wire and watched the city. I spent some time on the roof of the Turkish-Cypriot mayor’s office in Famagusta and tried to gather as many images as I could.” Ankara denied her request to enter the city’s cordoned off sections.